"My pain started in the afternoon. We rushed to the hospital closest to the village and they did an operation (c-section). But when he was born, they said we had to take him to Hyderabad. We came here in an ambulance hoping that he would be saved. Instead, they told us that he had jaundice, holes in his heart, and breathing trouble. 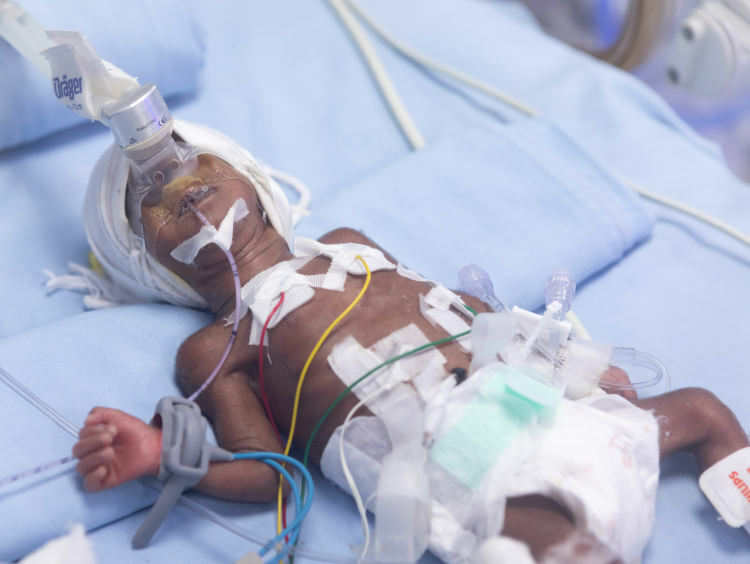 He has been in the NICU ever since." Lakshmi aches to carry her baby boy, an experience she and her husband have never shared. 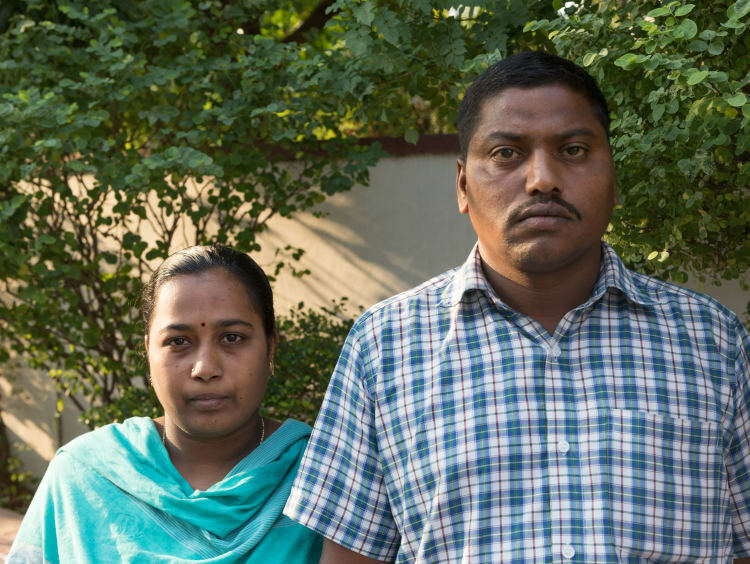 Three miscarriages had left them hopeless of ever starting a family, but now, they see a sliver of hope. 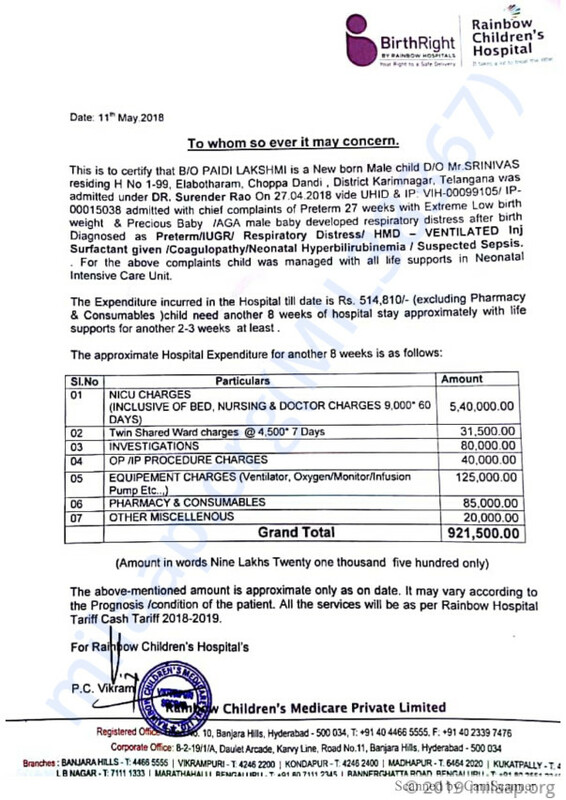 Slowly and steadily, the baby's condition is improving. The holes in his heart are slowly closing and his jaundice is better too. He has gained 9gms body weight and started feeding. He opens his eyes and looks and his parents. He grasps their finger tightly when they touch him. He even cries – and the sound is both happy and painful for his anxious parents. Lakshmi and Srinivas moved to Bommakal, Karimnagar and started a small laundry shop to earn a living. They wash and iron clothes and earn up to Rs 300 a day. They have been saving for years to have a baby. But it was simply not enough. 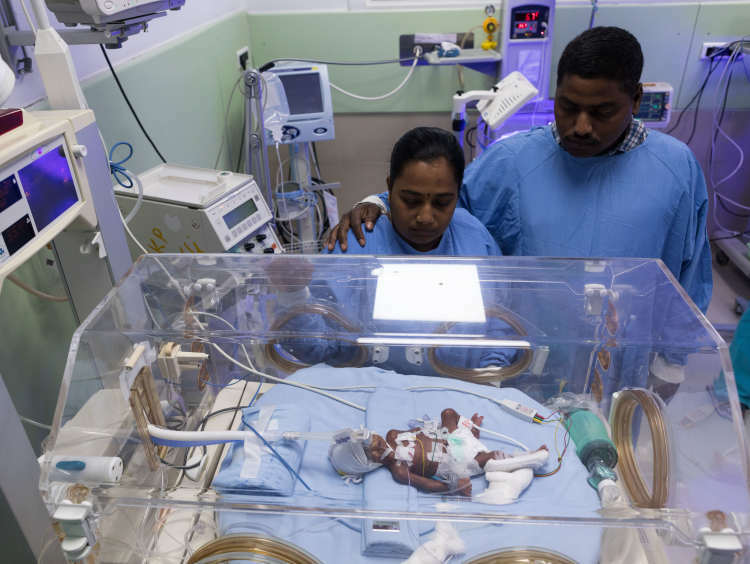 They kept their baby alive till now, only by borrowing heavily. Lakshmi and Srinivas can save their baby boy only if they can keep him in the NICU for 8 more weeks. Till now, they have put in everything they had into his treatment. All their pleas for help have kept him alive till now, but it’s not enough. 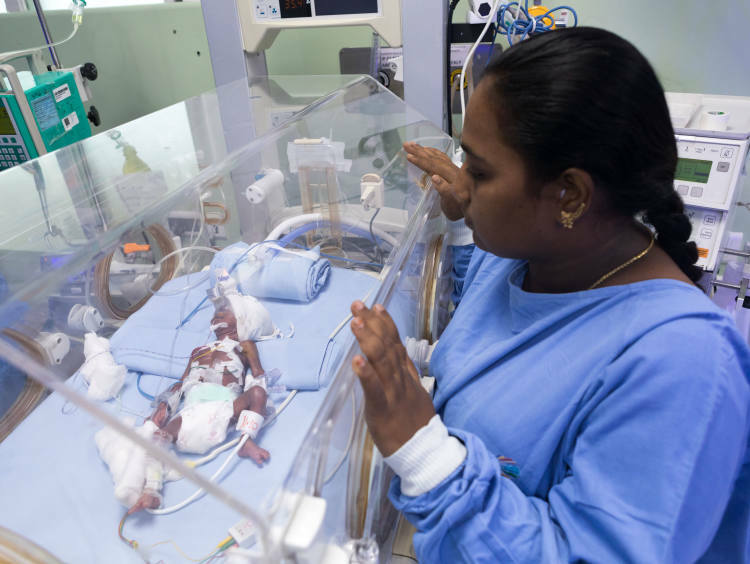 Their baby needs further medical care to get stronger. All the parents want to do is take him home in their arms. Only you can help him survive. 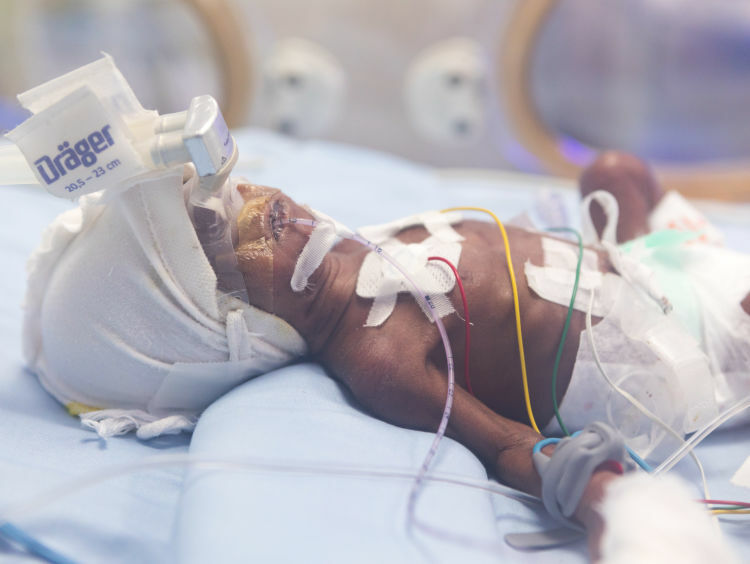 Your contribution will save their 1-month-old baby's life. 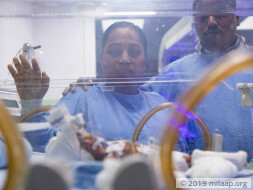 The baby has been removed from CPAP and kept on oxygen the baby is gaining weight and doing good the baby might require another 1 to 2 weeks of hospital stay. We shall keep you posted on the further developments. Thank you for the wonderful support that you have shown towards my baby. She is doing better now compared to earlier. He had developed a lung infection and is doing better now. His weight is close to a kilogram now and the doctors suggest that he will be needing support until he reaches 2 kilograms. Thank you for the wonderful support. Please do pray for his health and speedy recovery. Will keep you posted.